Odoo Poli Payments Acquirer Module allows you to configure Poli Payment acquirer with Odoo. Once configured, it is then available on the Odoo website to the customers as a Payment method. The customers can easily pay for their purchases using Poli. 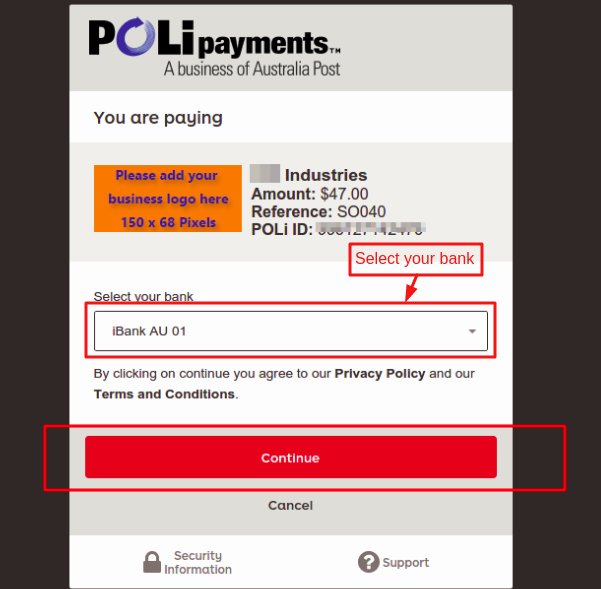 While making a payment, the customers are redirected to the Poli’s payment page. They are redirected back to the original website after completing the transaction. The Odoo admin can view the transaction details in the Odoo. The module configures Poli Payment acquirer with Odoo. 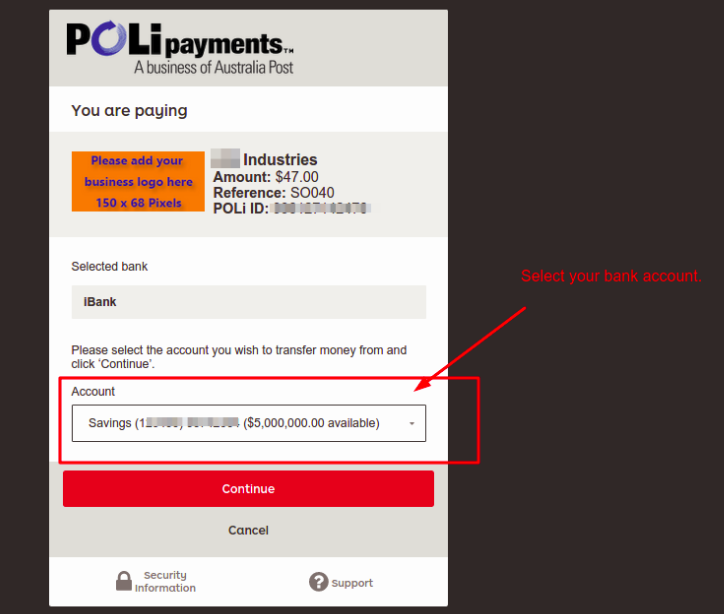 The Odoo website Customers can make the online payment using Poli payment method. Poli internet banking allows the customers to pay for their purchases directly through their bank account reducing dependency on debit or credit card. The customers are redirected to the Poli’s payment page while making the payment for secure transactions. Poli currently operates only in Australia and New Zealand. For more information please visit the following link >> https://www.polipayments.com/FAQs#Do_you_operate_anywhere_other_than_AU/NZ? 2.) Extract the file on your system after the download finishes. You will be able to see a folder named- ‘payment_poli’. 6.) In the search bar, remove all the filters and search ‘payment_poli’. 1.) Navigate through Invoicing >> Payment acquirers. Here you can now see a new option Poli Payment. Click on it. 2.) Here, fill your credentials i.e. Merchant Code and Merchant Authentication Token. 6.) You can also restrict the payment method to specific countries by using ‘Specific countries tab’. 9.) 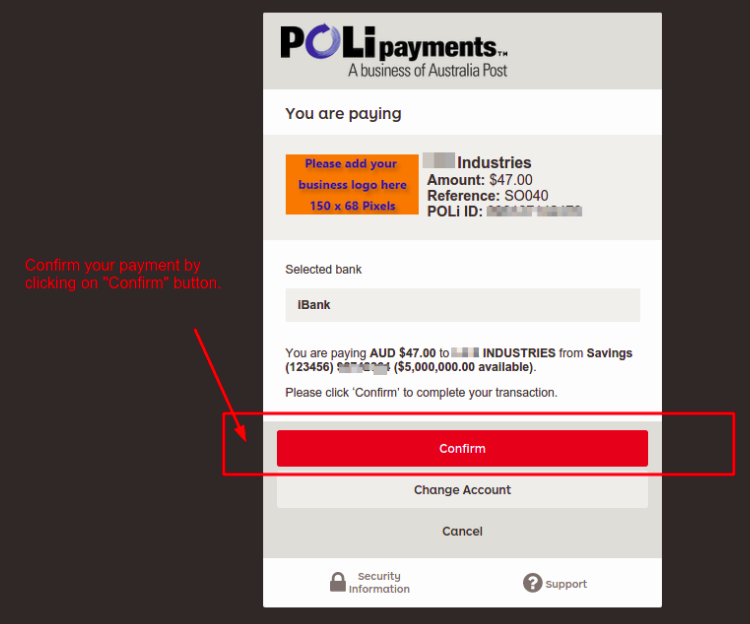 On, the Payment page, you can now see Poli as a payment method. Select the option and click on ‘PAY NOW’. 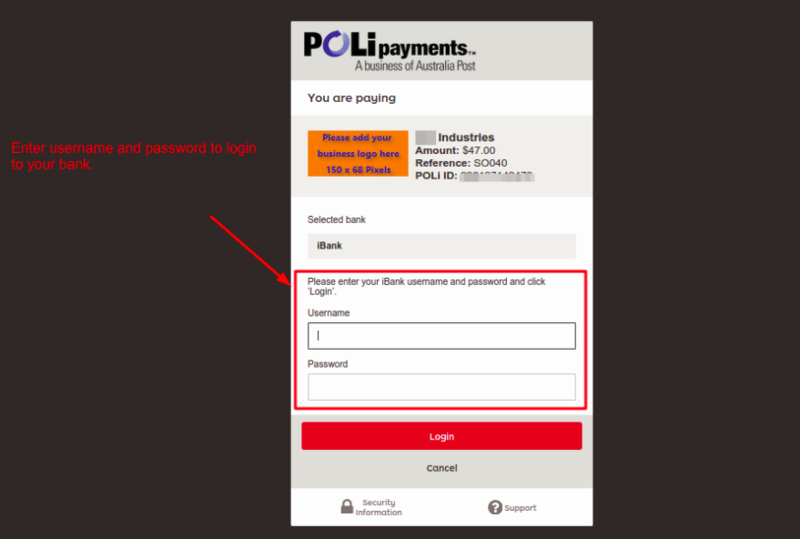 You will be redirected to a secure Poli’s payment page to complete the transaction. 10.) Choose your bank and click on Continue. 11.) Now enter your internet banking username and password and click continue. 12.) Then. choose the bank account with which you wish to complete this transaction. 13.) Once, the payment is successful, you will be redirected back to the Odoo website and notified on the checkout page. 14.) 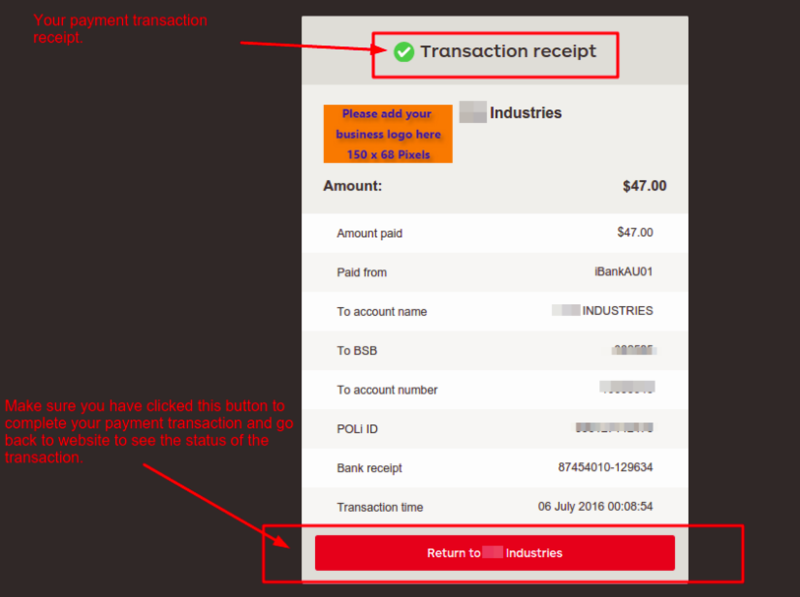 To view the online transactions in the Odoo backend, activate the developer mode. 15.) Then, head to ‘invoicing menu and click on Payment sub-menu. Click on the Payment transactions. 16.) Here, you can view the payment transactions made on Odoo website including the mode of transaction and the concerned sales order. 17.) The transactions can also be viewed by logging in the Poli merchant portal.